Listed below are Baby & kids stuff items for you to car boot sale online here that you will find available in London. If you cannot find the Baby & kids stuff items that you are looking for in London you can add your wanted item to let sellers contact you if they have any Baby & kids stuff items available for you. You can keep your contact information confidential. Enter only an email address in your car boot sale ad to receive offers into your account on our system. We will remind you automatically when new offers arrive for you. To offer your items for sale on this online car boot sale in London simply click Post free ads for Baby & kids stuff link below or the button Post free ad in top right corner of this page. It is fast, easy and free to post an ad in 2lazy2boot. It will take you just few minutes to have the ad seen on our listings. You can then edit your ads any time by clicking “Member area" button on top right corner of this page. Cheap Party Supplies – Planning for a party? Shop our Shop our exciting huge range of baby shower, kid’s party, birthday party, coloured party, hen party supplies online at cheap party shop. 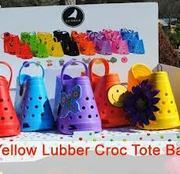 Our party supplies UK offer different kinds of party decorations" http://www.cheappartyshop.co.uk/. HEY , I HAVE FOR SALE LEARN AND GROOVE ACTIVITY STATION.....THIS TOY IS AMAZING IT KEPT MY SON ENTERTAINED FOR SO LONG...I PUT MY SON IN THIS TOY WHEN HE WAS 6 MOTHS AND HE LOVED BOUNCING IN IT AND THAT REALLY HELPED TO DEVELOP HIS LEG STRENGTH....HE WAS SO PLEASED TO LEARN HE COULD SPIN HIMSELF AROUND ON THE SWIVEL SEAT SO HE COULD PLAY WITH EACH SURROUNDING TOY. Sneak a' Roos offers a large assortment of children's footwear, including sandals, shoes, and boots - in fresh spring colors!Also shop the increasingly popular 'squeaky' shoe; it's removable squeaker helps you keep track of your child's whereabouts, and also serves as a motivating sound for beginning walkers! Also check out their colorful tutus, crocheted bows, and hats to keep your little ones dressed to impress from one season to the nextJoin us for our ‘Celebrating Our Members’ Sweepstakes! Enter for the chance to WIN $100+ prizes worth $15, 000 from great brands like NatureBox, Radio Flyer, The Land of Nod, Mini Boden, and more! For more information: http://www. here i have a selection of board games all complete!. here i have a selection of games all complete in used condition. Save time and money by choosing one of Great Little Rewards prefilled party bags for girls and boys. These bags are filled with quality pocket money gifts that kids will love to keep long after the party is over. For more details, contact us at +442032864347 or email us at info@greatlittlerewards. The best thing that you can do for your new born baby is feed him or her breast milk, as often as they are hungry, for 6 Months to a year or more if you can. The benefits of breast milk are finding to be amazing and so far not reproducable artificially in formula feed, no matter how much you buy. Giving your baby breast milk for the first two years of its life is important for its growth, health and development and immunity to diseases and sickness. 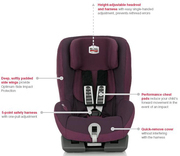 Britax Römer KING plus car seat Good condition, multiple recline positions, 5-point safety harness with one-pull adjustment, 360° all-round protection system provides optimum safety conditions in all types of accident Recommended retail price £179.99 The deep, softly padded side wings protect from side impacts, while the headrest provides extra comfort and support. Set - Quinny Speedi Jogger Stroller and Quinny Dreami Speedi Carry Cot in Raven with 2 Rain covers and Mosquito-Net A used Quinny Speedi Jogger Stroller and Quinny Dreami Speedi carry cot in Raven with 2 rain covers, one for the carry cot and one for the Jogger. There is a Mosquito net for the carry cot. Find great deals on Peg Perego kids toys and other nursery products. Our top products includes peg perego john deere, 36 volt quad , 24 volt polaris ranger rzr, gaucho jeep, gaucho superpower and many more. Visit our online store today !! 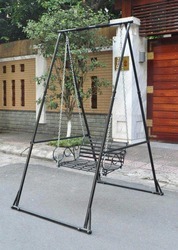 For more details visit http://www.pegperego.co.uk/. Buy gifts for him, unique, funny and cost-effective and gifts for her online at hookedonyou UK. 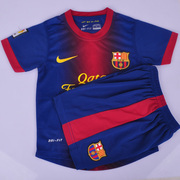 For any event, look through and buy gifts online..
2012 European Cup Children clothes---Thailand quality European Cup 2012 , Spain, France, Britain, the Netherlands, Denmark, Italy Children 2 - 13 age 13 dollars/u, Shirt and pants E-mail: gzyf621@hotmail.com. No need for it any more, in good condition. If intrested i can send pics..
Mamas and Papas car seat in good and clean condition. No need for it any more, used for one baby only. Collection only pls. Call or text (no emails) thanks 07763712329 Only £15. Hi, I have baby boots for sale, in great condition. You can see more details here http://www.ezyoffer.com/100116. i found this very easy to use i used it for 7months for my newborn and toddler which has been very helpfull to me im sellin cause my toddler has out grown a pushchair and wants to walk . includes double adapter , bottom car seat adapter , 1 maxi cosi car seat and a maxi cosy easy base for the car seat which was very good as it just clicks into place whilst in the car no need to tie in every time you use ur car which is brilliant just click and go . Used Mamas and Papas pushchair Pliko Mod+ Coral Adjustable Handles Adjustable Back Rest Adjustable Leg Rest Hood Rain Cover Shopping Basket Attachable cup holder All in Good condition No stain or rips to the fabric Original instruction book From smoke and pet free home Pick up from London SW17 Paypal or cash on collection. Really great travel system, has all in one, will grow with your baby - nothing else needed. The new set costs about £800 so grab the bargain . This one is used but not too much as we had two sets (gifts) and is in great condition! Many different ways to use . You can attach to the wheels the car seat (specially handy when your little one falls alseep in the car and you would like to continue with walking around, shopping etc. The Horizons cot/junior bed will add a contemporary touch to your nursery with a smooth finish and neat lines. Key Features: - Cot base can be adjusted to four different heights, making it easier and safer for parents and baby - Horizontal oak effect finish - Converts easily into a junior bed - Strongly recommend a Mamas & Papas 400 size mattress Dimensions: D 149 x W 82 x H 93cm approx Was £440 when new from Mamas and Papas. Well here you go. Good luck with your on line car boot sale in London. We hope you have some success and find buyers/sellers that you are looking for in Baby & kids stuff . Don’ t forget to comment any successes in selling your Baby & kids stuff items in London to our valuation window and report forum! We are sure you will find many people in London looking for your Baby & kids stuff. London car boot sale. Baby & kids stuff for sale ads on online car boot sale in London, second hand Baby & kids stuff for sale in London, Baby & kids stuff ads for free in London, 2lazy2boot - London car boot fairs.